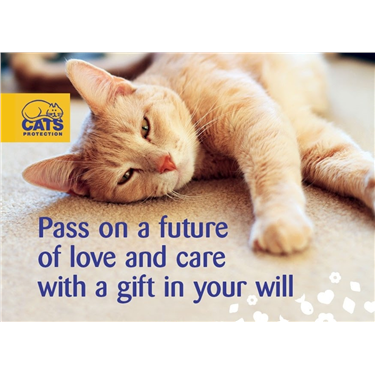 By leaving a gift in your will you can help change the lives of thousands of cats and kittens for years to come. Without the kindness of people who remember Cats Protection in their wills we would not be the charity we are today; these special gifts fund more than half of everything we do. Charitable gifts in wills are vital for continuing our work to help unwanted cats and kittens. By leaving a gift in your will, you will be helping us keep the special promise that underpins all of our vital work: that we will never put a healthy cat to sleep. You can choose Doncaster Branch as the benefactor if you would like to.